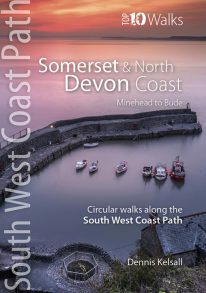 It’s the final book of the seven volume Official Guide to the Wales Coast Path. The Snowdonia and Ceredigion Coast book, by well-known outdoor author Vivienne Crow, is now widely available from UK bookshops TICs and other outlets. This lovely-looking, up-to-date and hugely informative guide will take you to some of the wonderful places along the 132-mile stretch of coast between Porthmadog and Cardigan. Along the way, you’ll visit Harlech, Barmouth, Machynlleth, Aberystwyth and New Quay. The guide also covers complete route instructions for the Ceredigion Coast Path. It’s a lesser known but beautiful stretch.